Will buying from a broker save money? Approved used cars - worth the extra? In the old days of the August plate change there was always a crash at some point between September and November. But the March and September registration plate that started in 1999 changed everything. The March plate change is the most important one because it involves a clear change of designator. Buyers can always be sure that a 16-plate is a 2016 car, so March is now the busiest month for registrations. It ensures that the market is reasonably well supplied with part-exchanges for the peak spring selling season. But not over-supplied, so spring remains the most expensive time of year to buy a used car. The September plate change feeds a large number of used cars to the market at completely the wrong time of year. Unless they go in September or early October (just six short weeks) they can stick. Any leftovers tend to be at rock bottom by November, which is when the smart, well financed big dealers stock up for the new year. Lesser dealers see this happening and start buying too in December, so prices can rise again by Christmas. In January we no longer see a large influx of part-exchanges, yet if the weather is okay there can be strong demand for used cars. So prices shoot up, often by 10 per cent or more, until the market slows a bit in mid-February in anticipation of the March part-exchanges. For many, a main dealer (also referred to as a franchised dealer) is the first port of call if you're buying a new car. But it's not always easy to get a good discount - especially on an in-demand model. If you are a good negotiator, during comparatively slack months such as December you might get between 10 per cent to 12 per cent off the 'list price' of a new car. The best way to achieve this is to know precisely what the 'on-the-road' price of the car should be, take off the cost of VED and the first year tax, then subtract 15 per cent from the remainder. On the premise that between 3 per cent and 5 per cent profit is better than no profit at all - and the car is in stock - many dealers will play ball, particularly towards the end of a month. On the other hand, if they have more customers than cars, they won't play this game. You are unlikely to get more than 4 per cent or 5 per cent off a car you have to order and then wait several months for. What if you have a car to part-exchange? If you have a car you want to part-exchange for a new one, it's no good getting a decent discount then giving it all back by accepting too little for your trade-in. Be well aware of what your existing car is worth. Compare it with similar models of similar age and mileage that the dealer has for sale, and don't accept less than £1500 or 15 per cent (whichever is the greater) less than the sticker price on those cars. However, what you get for your part-exchange is not the most important factor. The 'cost to switch' is. Compare the total financial outlay involved in one deal compared to another. For example, one dealer has a new Focus that lists at £20,000. He offers you £4000 for your part exchange, but no discount, so the cost to switch is £16,000. The dealer across the road has a new Golf that also lists at £20,000. He offers you £3500 for your part exchange, plus £1000 off the price of the Golf. The cost to switch is therefore £15,500, so the Golf is effectivelty £500 cheaper than the Focus even though you get less for your part exchange. A pre-registered vehicle has a very specific definition, but is applied to a range of different cars for sale that are technically used, but are factory fresh. Reasons to pre-register, or for dealers to self-register cars mainly stem from generous bonuses dealers receive for hitting sales targets. The bonus outweighs the discount they would then be offering on the cars that are self-registered. It means there are plenty of cars out there that look and feel like new, but are available for substantially lower prices than buying a car to order, specifying your preferred options and colours. 1How do I know if it's a pre-reg car? If you see a car in an online classified advert or at a dealer with delivery mileage, it is most likely a ‘pre-registered’ vehicle. This is a car that the dealer has registered to take advantage of a bonus payment from the manufacturer for meeting a sales target. A dealer might have access to several similar vehicles for sale, or they might end up at a car supermarket in greater numbers. In both cases you would expect to pay much lower than the official on-the-road price for that particular car. 2Is it still a 'new' car? It’s new in the sense that it looks, feels and smells that way. Delivery mileage could be up to a couple of hundred on the odometer, but could just be single figures. But the V5C will show the dealer as the first owner, or registered keeper, of the car. You’ll pay substantially less than if you were ordering it new (anything up to 30 per cent lower), but you won’t be able to sell it on advertising it as a ‘one careful owner’ car. You might not be able to find your preferred choice of engine, equipment grade, colour or options, although you might be lucky. But you should be able to find a pre-registered model that gets very close to the specification you want among the most popular cars for sale, and it will almost feel as good as configuring the car yourself. Especially when you think of the money you will have saved compared with specifying your own car. Do your homework before you start your enquiries. A car dealer isn’t necessarily best placed to advise you on the best course of action, but if you check out the manufacturer websites you should be able to see all of the deals or incentives for a new model. They could be offering cash incentives when buying outright, or deposit contributions on PCPs. A pre-registered car should be substantially lower than the best price you could get for buying an equivalent model when buying new. Try to find out if a particular model you’re interested in is due to be replaced or updated. Searching online for cars that appeared at recent motor shows, or lists of new models due to be launched in the near future should give you some clues. You might prefer to wait for the new model, but as a car is being replaced, the manufacturer deploys a ‘run-out strategy’ for the current model, where they give the dealer a more generous margin to absorb a customer discount, and by the same token an easier car for the dealer to self-register. You might find more examples of pre-registered models at dealers when a car is due to be replaced. 7What about dealer demonstrator cars? Some cars are self-registered by dealers to be demonstrators. These might have higher mileage than a typical pre-registered car – although still only a few hundred. You would expect to pay a slightly lower price for an ex-demonstrator, and it should be inspected extra closely for damage. It could have had people behind the wheel not used to its dimensions, and it isn’t unheard of for minor bumps and scrapes on test drives. If any damage is spotted, it should be superficial, but also the dealer should put it right before the sale. 8Do I still have to pay VAT if it's not new? If a business – in this case a dealer – is the first registered keeper of the vehicle, it will have paid the VAT on the car’s on-the-road price. But it would also be able to reclaim it. As far as private buyers are concerned, the price you pay is the price advertised. The dealer will have built in the VAT payable into the advertised price, which is substantially lower than the official on-the-road price of the new version of the car. If they try to add VAT to the advertised price, walk away. If the car was involved in an accident and written off during the first year of ownership, if it was new, the insurance company would usually offer a like-for-like replacement. As the second owner of a pre-registered car, the insurance company will probably replace with a year-old equivalent if written off during your first 12 months with the car. 10Is it safe to buy a pre-reg car? Manufacturer warranties begin at the date of registration. Not so much of a worry if the pre-registered car is only a few weeks old, but some can be left in a holding area for months before being advertised for sale. You get the benefit of paying much less for the car than buying new, but you could be losing a substantial chunk of the time limit on the warranty, which in most cases lasts for three years from the date of registration, although a few manufacturers have warranties of five or seven years. If you have no part-exchange this is usually the cheapest, most hassle-free way of buying new. Brokers do the work for you, making deals with UK dealers that enable them to obtain volume discounts from manufacturers. Or they simply broker unsold stock. You can't always get every model in every colour via a broker. And discounts are always best for cars in stock. But, we've seen as much as £10,500 off a new Mercedes SL, for example. Though maybe not in the best colour. Often dealers have to shift stock and cancelled orders to make a quarterly target. And the best way to get them gone is to put them out via brokers. Online brokers in the UK include DriveTheDeal, Brokers4Cars, AutoeBid, UKCarDiscount and UKCarBroker. On more ordinary cars, discounts of between £2000 to £5000 are typical, particularly if the model is on run-out before a facelift or new model arrives in the showrooms. But always the best way to save the most money is to be open-minded. Like shopping in a market, buy the best available at the lowest price rather than have a fixed idea of exactly what you want. Is it safe to buy an import? There are benefits to buying an imported car that was not originally sold new in the UK. Many will be cheaper than their UK equivalent or you may choose a model that was never available new in this country. Other advantages can include a lower price or a rare version of the model you want. However, there are also downsides to choosing an import, which can mean a car with less standard kit or one without a complete service history. Other concerns can include higher insurance premiums and a lower value when you come to sell the car on. Some imported cars have a mechanical set-up that was never intended for UK driving conditions. You may find the suspension too soft or hard, and the gear ratios can leave the engine revving higher than you expect if the car comes from a part of the world with a lower maximum speed limit. For example, many performance cars from Japan have their top speed capped at 112mph, which can frustrate owners who use these cars on track days. A greater concern is being able to get your imported car serviced properly. Some dealers’ diagnostic equipment might not be compatible with an imported car. You might also find any warranty with a newer imported car is shorter than one bought within the UK. Insist on a third party warranty from the supplying dealer. You also need to know about the two types of imported cars into the UK. The first is called a ‘parallel’ import, which means it’s come from a European Union member country. This means the car has been built to the same safety and environmental standards applied in the UK. It was common to parallel import cars into the UK from Europe in the 1990s when there was a large price difference, making imports a cheaper way to own a new car then. With used cars, this is not really the case, so parallel imports are much less common but it does mean you enjoy the remainder of any EU-wide warranty left to run on the car. A ‘grey’ import is the other option and these are cars from outside of the EU. Most grey imports to the UK tend to come from Japan, such as the Mazda Eunos and Nissan Skyline. This first started to satisfy demand for cars that were in limited supply in the UK, but now it tends to be rare or unusual models and classic cars. Just make sure the specification of any grey import matches what you want from the car. So, what do you need to check when buying an imported used car from a dealer? First off, make sure the dealer is a member of the British Independent Motor Trade Association (BIMTA). The dealer has to abide by this group’s code of conduct and BIMTA also offers a ‘Certificate of Authenticity’ for imported vehicles that tells you it’s not been stolen and there’s no outstanding finance prior to it being imported. If it turns out the car has been stolen or has finance owing, you’ll be protected as BIMTA will cover your loss. This certificate also comes with a mileage check, though this can be unreliable as many imported cars will have had their odometers changed from kmh to mph when they were made legal to use on UK roads. With grey imports, you also need to check the dealer has dealt with all of the paperwork. Her Majesty’s Revenue and Customs has to been informed within 14 days of the import date the car has arrived in the UK. Plus all relevant VAT and duty has to be paid. The car also has to be correctly registered and a V5C registration document issued. For EU imports, be sure on the VAT status before you agree to buy. No VAT charges will apply if the car is more than six months old, has covered more than 6000km and the VAT has already been paid in another EU country. You should check the car has a European Certificate of Conformity to prove it’s EU-registered. And if the car is left-hand drive, it must have a Mutual Recognition document. In the modern business of selling cars, where sales figure one-upmanship is currency, it’s never been easier to get a new car bargain, no matter your budget. Here's how to get the right car for you, at the right price. Obvious, we know, but it’s really important to establish a set of imperatives before you hit the showrooms, with their dizzying combination of special offers, smooth salesmen and machine-vended frothy Flavia. How many seats do you need? What sort of luggage space? Is fuel economy more important than performance? Are there certain conveniences you can’t live without, like an iPod connection or air conditioning? Will it one day become the kids’ runabout, or do you only plan to keep it for a couple of years? Think about all these things before you begin. The cost of motoring can be astronomical, so it’s important not just to look at the price of the car itself, but also how much it will cost to run over the medium and long terms. If you’re taking on a monthly payment (as do most buyers), you’ll need to add to that the fuel, car tax, insurance and any potential repairs, should you decide to keep it beyond its manufacturer warranty. This isn’t too complicated, but requires thought and planning – and the willingness to stick to your budget. This is a key consideration. Do you plan to buy your car outright and run it into the ground, so to speak, or do you prefer the warranty-backed assurance of a new car every three-or-so years? Each has its pros and cons. Changing cars regularly means you can keep your costs in control and are less likely to encounter repair issues, while owning a car outright means, of course, no monthly payments. There are a few ways to buy a car, aside from counting out £50 notes in the dealership, and it’s likely that you’ll end up paying for your car monthly. It rarely makes sense to buy a new car outright in cash. So, do your research and work out the difference between HP, PCP and leasing. It's also worth comparing APR, as some high street banks will car focused loans, with lower interest rates, which will save you money in the long run. Car dealers often don’t like cash buyers because the profit margin on most cars is surprisingly tight – dealers are usually making hundreds rather than thousands, especially with smaller cars. Therefore, finance deals offer a lucrative slice of additional income, as well as making repeat custom more likely. Being a cash buyer is great if you’re planning on keeping the car long term, but if you think you’ll regularly change your car, it might be worth holding onto your cash and taking out a monthly payment scheme. It’s often difficult to stay emotionally detached from the process of buying a car – most of us have decided what we want long before the test drive and the nitty gritty of finance. But, if you can, remain open-minded until the bitter end. Playing one car dealer off against another is the oldest and most effective trick in the book. Never be fooled by a typical “you must buy it within the next three minutes or the other couple will get this deal” shtick. A deal will always be available. Another obvious one, but a proper test drive is extremely important and you shouldn’t be embarrassed about giving any car you’re thinking about a good going over. Think about everything you’ll be using it for, have a proper poke around all the switches, door, dials and compartments. And be as cynical as you can. Drive in familiar surroundings so you can focus on the car itself and try to test it doing things it’ll be doing every day – take the kids with you, for example. Having a car to part exchange adds a layer of complication to the buying process and while it’s important to research and know the part-exchange value of your car, you should always think about its valuation in the context of the deal. So, if your car’s worth roughly £5000 and the Ford Focus you’re after retails at £15,000, you should be looking to pay as far below the £10,000 difference as you can. One dealer may offset a high valuation with a smaller discount, so try to think in terms of what you’ll ultimately be paying. This isn’t a simple art, but it’s important to buy a car that’s a popular trim and has the right options on it, in order to keep its resale value high and, it follows, the monthly cost lower. You wouldn’t buy a compact executive type car on plastic wheel trims, for example, and with smaller cars, the five-door versions can actually end up costing less per month than their cheaper three-door counterparts because they’re more popular as used buys. Ask the dealer which options and colours are popular and he’ll advise you with perspicacity. Probably. Once you’ve decided on the car you want and a price you’re happy with, make sure you know exactly what you’re getting. Sounds simple, but double check the specification, warranty, delivery date, and extras you expect like floor mats and enough fuel to get you home. You should get the V5C logbook the day you pick up the car, which is the legal document specifying that you are the registered keeper. Buying a used car need not be a minefield if you know what the pitfalls are and how to avoid them. We think finding your next car should be an enjoyable and simple experience. There are two golden rules for buying a used car. The first is to be open-minded. Obviously you'll have a budget and a good idea of what you want. But if something else crops up in top-notch condition at a bargain price you'd be a fool to ignore it. The second rule is to trust your instincts. You have been developing them all your life and they are there to save your life. So if a gut feeling tells you there is something not quite right about the car or the seller, walk away. Don't be browbeaten by logical argument into buying something you don't want. Most main dealers offer approved used car schemes such as Ford Direct, Vauxhall's Network Q and Volkswagen's Das WeltAuto. Where the warranty is backed by the manufacturer rather than being simply an insured warranty, these give peace of mind but can come at a fairly high price. Nevertheless, once you've shopped around a bit and got the feel of prices at car supermarkets, it's worth paying the franchised dealers a visit. They have been known to beat big car supermarket prices - and if their prices - inclusive of a cast-iron warranty, are only a few hundred more than the supermarkets, you may be better off doing a deal with the franchised dealer. Where you want to part-exchange your old car, franchised dealers almost always give better part-exchange allowances than the car supermarkets. But here you need to compare the total 'cost to switch', not merely the part-exchange allowance offered. There are thousands of used car dealers spread across the UK and many of these independent companies offer good cars at keen prices. However, there are some that are less interested in a good deal and customer service. Question is, how do you spot a bad one and avoid being ripped off? It’s not unusual for dealers to only have a mobile phone number now, but make sure you view the car at the dealer’s premises. If they ask you to look at the car at their home or in a car park, alarm bells should be ringing to make you look elsewhere. Before you visit the dealer, check on their website for the kind of cars they sell to get a feel for what sort of stick they have. It’s also a chance to check if they are accredited by the British Independent Motor Traders Association, SMMT, AA, RAC, Motor Codes or Scottish Motor Traders Association. While membership of any of these schemes doesn’t guarantee good service, it gives you somewhere to complain to in the event of a bad experience. Most independent dealers rely on their reputation in the local area for most of their business. Ask family, friends and colleagues who they would recommend in the area as this is often the best way to finding a reputable dealer. Ahead of looking at a car, carry out a vehicle history check using the registration number. Most dealers will advertise they have already carried this out, but it’s better to make your own check to be sure a car hasn’t been written off, stolen or is subject to outstanding finance. You should also check the car’s MoT history prior to visiting. This will give a good idea of what work has been carried out and if the mileage correlates to that shown in the advert and on the car’s odometer. Is the car as the dealer described it? A good independent will be happy to give a full run-down of a car’s condition, age, mileage, condition and service record. If you think they have missed something deliberately, ask about it and, if that answer isn’t satisfactory, you should not buy the car. Trust your instincts. And don’t be brow-beaten into buying a car that’s not suitable for you. If the dealer tries this, it’s because they want rid of a car they’re finding hard to sell. Take a test drive that lasts around half an hour and drive on the type of roads you will normally use. An honest dealer will be happy to do this. If any faults show up during the test drive, ask about how they will be fixed. Honest dealers will solve any problems within the asking price. When you’re happy with the car you’re considering buying, it’s best to pay by credit card or bank transfer rather than cash or cheque. Some dealers will try to charge a fee or percentage for paying by credit card. If so, use the credit card to make a small deposit payment as this give you greater protection if there’s a problem further down the line. Make sure the car comes with all documentation before you sign on the dotted line. If the dealer says he’ll send on the vehicle’s service history, insist it comes with the car before you pay for it. An honest dealer will be happy to put a car through an MoT test so it’s sold with 12 months’ ticket when you collect it. If the dealer refuses to do this, it should sound alarm bells. Car supermarkets live up to their name by offering more vehicles and choice than traditional used car dealers. There are also plenty of them spread around the UK, so you should never be too far away from one when you’re thinking of changing car. So, that’s what a car supermarket is, but what are the pros and cons of buying your next used car from one? Choice is the biggest attraction with car supermarkets. Most will have a large number of the most popular makes and models in a variety of colours and specifications. They often sell cars at lower prices compared to an equivalent car from a franchised dealer. Most car supermarkets only sell relatively new cars up to around three or four years old. Most of these are ex-rental or former company fleet cars, so they also have a complete service history. All the cars on display are generally ready to use straight away, so you can buy and drive off in your new car the same day. You should also get a well prepared car. Most car supermarkets valet their cars thoroughly before putting them on display plus test drives are usually available so long as you have brought your driving licence. A refundable deposit can secure a car to view before you arrive and a part-exchange price can be given on the spot while you browse and the deal arranged on the same day. Finances deals can also be arranged while you wait, so you can drive off in your new car all in a single day. The advertised prices are usually non-negotiable, so what you see is what you pay. There's not much room for haggling. Plus the trade-in price for your old car will be rock bottom and the car supermarket will be unlikely to budge from this. You will often find high pressure sales staff in many car supermarkets, so they will try to get you to agree a deal when you visit. Many people find this intimidating - but don't be pressured into making a decision there and then. On top of that, finance deals are often not as keen as others from independent lenders on the high street or online. Carefully check the APR rate and ask for a full breakdown of costs and duration of the finance deal. Also, make sure you understand the different types of finance so you know whether you own the car or not at the end of the deal. The cars on display are often only prepared to a superficial standard, so check carefully for scratches, scuffs and dents. And insist any remedial work is completed within the agreed sale price. The aftermarket warranty is usually limited in how much it covers. Buying from a car supermarket means you will have minimal aftersales back-up. Uou have to be very insistent to have any problems fixed after you’ve driven away in the car. If you're after a very specific car, a rare model or a performance car, you're unlikely to find it at a car supermarket. Here, it's all about volume so the cars for sale will tend to be the most popular models. Do you have any advice for what to look out for buying a new car? Do you have any advice regarding common sales techniques that car dealers might use to sell a car to a customer? Are there any in particular to be wary of? Do your homework on the cars before you visit the dealer (by using our site). Know what you want. Never rely on salesmen for information. Know how much you should pay (https://www.honestjohn.co.uk/used-prices/). Be aware that the salesman gets very little commission from selling cars, but a lot of commission from selling ridiculous add-ons such as tyre insurance, paint protection etc, that are all available for less than half his price elsewhere. Is it safe to buy from a 'home trader'? These people are much maligned, but a proper trader who openly trades from a home of his own is bound by all the same consumer rights laws as a dealer with large, expensive premises. He'll be watched fairly carefully by the local Trading Standards Office. The only way he can make an honest living is by offering deals that beat those on offer from the big boys. That 'home of his own' bit is important. If he's operating from rented accommodation you may have no comeback against him. Make sure he invites you into the house (to make sure it really is his house). And if he's the least bit aggressive, shifty, bad tempered or has a vicious looking dog on a chain, make a polite excuse and be on your way. Never buy a car in a car park or a lay-by, or from a dealer working from a mobile phone number who brings the car round to your house. Always make a history and finance check on cars offered by home traders, and look for verification that the mileage is genuine. Buying a used car need not be a minefield if you know what the pitfalls are and how to avoid them. We think finding your next car should be an enjoyable and simple experience. These are our top tips. When you first see the car, what do your instincts tell you? Do you get a funny feeling in the pit of your stomach? Trust these feelings, because they are your natural defence mechanisms at work. All too often we ignore our instincts and talk ourselves into making a bad decision. That's what salesmanship is all about: getting you to think nice thoughts about what you're going to do with the car or how easy it will be to pay for it, and to put out of your head the obvious fact that the car is a heap of junk. Beware the car dealer who pre-qualifies your financial status over the phone so that, when you arrive at the car lot, the finance is set up and all you have to do is choose a car. By that time, you are pre-sold on buying a car from that dealer come what may and, when you leave home, you leave your brain and your instincts behind. Assuming - and only assuming - you have a good feeling about the car, you can check it out yourself or have it independently inspected. The downside of an independent inspection, of course, is that it may take some time to get an appointment, the vendor may sell the car in the meantime, and you'll still have to fork out the inspection fee. 2Is it a good price? So many things affect used car values and you’re unlikely to find two identical models for exactly the same price. One of the best ways to get an idea of what you should pay is to search classified adverts for the type of car you want. Check out our Cars For Sale. Even if you’re not ready to buy the car, it’s a good way of working out how much it will realistically cost. You can also use our Honest Used Car Prices which will give you an idea of how much to pay for a particular model. This isn’t usually a problem if you’re buying from a dealer (though some people buy and sell cars professionally from home) but under no circumstances should you buy a used car from anywhere other than a private seller’s home address - otherwise, there’s no guarantee it belongs to them. Initially viewing the car somewhere else is okay but when you’re handing over cash, make sure the address on the V5C registration document tallies with the vendor’s. If the seller asks to meet you elsewhere to close the deal then it’s probably best to walk away. A professional history check can tell you whether a used car has a clean slate or a sketchy past. A basic history check from MyCarCheck.com costs just £1.99 and will tell you if the vehicle has been stolen or written off, while the most expensive one costs £19.95 and adds more detail. An HPI check will also tell if you if there is a loan or any outstanding finance against the car. Remember, it's illegal for someone to sell a car that has outstanding finance on it. You can find the basics of a used car’s past without paying for a check, though. Examine the car’s service history (if it has one) and check its identity with the DVLA, its MoT history and whether or not it has been recalled. Have a good look at the exterior and keep an eye out for uneven panel gaps, corrosion, scratches or dents. Check the amount of tread left on the tyres, as worn rubber can mean they’re fitted incorrectly or be a sign of a hard life. Check the oil, coolant and brake fluid levels (and clutch fluid if it’s hydraulic) and look for leaks in the engine bay and below the car. Make sure the electrics work too – lights, radio, windows, wipers and anything else you can turn on or off. Always do this in the daytime when visibility is better. If you're not sure then get a professional to look at the car for you. Any legitimate private seller will have no problem with a buyer having the car inspected by a professional. Prices vary (depending on the car and location) but usually start at around £150 and you can ensure - as far as possible - that the car you’re buying is sound. Organisations like the RAC, AA or Dekra all offer vehicle inspections. A test drive is always worthwhile. Dealers should have demonstrators’ insurance that covers you for this but you should still ask about it beforehand. For private sales, contact your insurance company to see if you’re legally covered for a test drive. If it’s safe to do so, loosen your grip on the wheel slightly to see if the car veers to one side. Listen for knocks, squeaks, rattles or any other odd sounds and generally keep an eye out for anything unusual. If possible, pick a route that’s similar to your typical daily journey. If the car is manual, where does the clutch take up? If near the top of the pedal travel, there is likely to be less than 10,000 miles of life left in the clutch. If you can get it to slip, reckon on less than 2,000 miles. Does the car accelerate smoothly? Do the brakes stop the car straight and true? If you feel juddering, the discs may be warped. If retardation is slow, the discs, pads, drums, linings may be worn or grooved. Do the brakes lock up front or back during an emergency stop? If so, the rear brake compensator may be failing. Finally, check all the electrics: wipers, sunroof, windows, everything. If the car has a trip computer, get the owner to run through its functions. But, obviously, if the car is cheap, you don't worry about a non-functioning trip computer. Dealers and most private sellers typically advertise cars at a slightly higher value than they expect to achieve. The simplest way to check out their bottom line is to ask, 'I know the advertised price, but what's the lowest you're prepared to take for the car?' They may smile sheepishly and tell you straight away, or getting to their bottom line might be like pulling teeth. Much will depend on circumstances, such as the urgency of the sale, how long the car has been on the market, and/or how few people have come to see it. If the seller has already bought a replacement car, they may need to sell the older one urgently. Just chatting to them may elicit little hints that tell you the true circumstances. The best way to pay is with a credit card, as you’ll be protected under the Consumer Credit Act. This is rarely, if ever, possible with private sellers but however you pay and whoever you buy from, make sure you get a full receipt that includes a signature, date, name, address and the details and cost of the car. There are plenty of ways to make payment and a faster payment bank transfer (done online or over the phone) is among the best, as the money can be moved in less than two hours. Cash is also instant but it’s safest to do the handover in a bank. Don’t hand over the cash until you’re satisfied you have all the relevant paperwork and extras. The V5C or logbook is the most important document because it identifies the owner of the car. You'll need proof of an MoT plus the service history and vehicle handbook are well worth having, too. Most cars should have spare keys so make sure you pocket those, along with the adaptor to remove locking wheel nuts if they’re fitted. Also look for the spare wheel and tools to change it or the tyre repair kit depending on which the car has. Check for major service intervals. Volkswagen's for example, need a cambelt every four years (post-2009), so check that you're not being sold a car that's going to cost another £750 in the near future. If the seller has a blue V5C with a serial number between BG8229501 to BG9999030 and BI2305501 to BI2800000, do not go ahead with the sale. These were a batch of V5Cs stolen in 2009. Cash at the site of the sale is often the quickest way to pay for a car sold privately, depending on the amount involved. For obvious reasons it’s not wise to declare to a seller that you’ve not met that you’ll be turning up to buy a car you’ve not seen with an envelope full of notes. We'd suggest a transfer at the bank is a safer option. Never buy a car, or place a deposit on a car, or give any money to any person or organisation pertaining to a car, without having seen the thing in real life first. With a dealership, often a finance payment is the best way to go, because it not only means the dealership is liable if things go awry with the car, but the finance company is too. Used cars have not been sold with valid road tax since the demise of the tax disc in 2014, so you’ll need to buy tax before you drive the car anywhere. You will also need to make sure it has a current MoT and most importantly, get it insured. This can all be done online or over the phone, but it's your responsibility as the new registered keeper to get it sorted before you jump in a drive off. And remember, there is no purchase protection if you buy a car on eBay and pay via PayPal, so it’s at the seller’s discretion as to whether to sort any subsequent problems. What about buying privately from the classifieds? Choosing a car can be very exciting and this is all the more reason that you need to follow out simple steps to making the right choice when buying from a private seller. The benefit of buying privately are lower prices than at a dealer’s and some buyers prefer the less pressured environment. So, here are our top tips to doing the deal. Do your research. Check online classified adverts to make sure the car you’re viewing is pitched at the right price for its make, model, age, engine and condition. If the price looks too good to be true, it probably is. Some criminals will advertise a car that doesn’t exist to collect deposits and then disappear. Cars priced below the market value may also be stolen or ‘cloned’ where they are given the identity of another vehicle that’s legitimate. To avoid these problems, carry out a vehicle history check before going to view a private sale. You’ll need to registration number for this and it will tell you if the car is stolen, written off or has outstanding finance. Only ever view a car at the seller’s house and make sure their address matches that on the car’s registration document. Unscrupulous sellers will give all sorts of reasons why the two don’t match or they want to meet in a car park. However, honest sellers will see you at their home. Arrange to see the car in daylight rather than at night when you might miss damage to the car. If it’s raining, ask to drive the car to a filling station forecourt where you can inspect it in the dry as water can hide bodywork faults. Take a friend or mechanic with you. A second pair of eyes, especially those that know about cars, can help spot potential faults or problems. If you’re not confident about assessing the condition of the car, the AA, RAC and others will carry out an inspection for you for a fee. Scrutinise all of the paperwork with the car. A full service record and folder with receipts from reputable garages is always a good sign. Make sure the mileage corresponds to the car and its condition. Also, check the vehicle registration and Vehicle Identification Number (VIN) tally with the documents. When checking the VIN, make sure it’s stamped into the car’s metalwork or on a fixed plate rather than a sticker that’s easy to falsify. If you want a test drive, make sure you’re covered on your own policy or the seller’s. Alternatively, you can arrange a single day’s cover. If you don’t have insurance, you’re breaking the law. Insist on a test drive the covers the sorts of road you’ll use normally. During the test drive, try every gear, including reverse, the brakes and all of the lights. Also, press every button and switch to make sure they all work and check the air conditioning pumps out cold (and hot) air. Listen out for any unusual noises or clonks. If the inspection and paperwork all check out, it’s time to make an offer. Don’t be afraid to offer less than the seller is asking as they will have factored in some room for negotiation. Having checked out others similar cars, you should have a good idea of what they are selling for. When you agree on a price, you can pay a small deposit or the full amount, but get a receipt from the seller. If the car needs any work before you buy it, agree this with the seller in writing in case there’s any dispute further down the line. When paying, cash is the easiest, but a bank transfer is safer and more cautious sellers may ask for this than risk a fist full of dodgy notes. Don’t be offended by this approach. If a fault develops with the car within the first 30 days of buying it, you may be covered under the Misrepresentation Act. This states the car must be as described. If it’s not, you can claim the difference between what you paid and what the car is really worth. You may also be able to claim for any repairs or losses as a result of problems with the car. It may seem straightforward buying from your mate down the road or your cousin who's getting a new car, but you wouldn't be the first person to buy a disaster zone just because someone in the family was selling it. Nor would you be the first to overlook faults because you didn't want to upset Uncle Albert and Auntie Gwen and your entire mother's side of the family. So think about this very carefully. Obviously, if the car is literally being given away, take it. It it's being offered to you at a knockdown price, make sure the price is knockdown by looking it up. If the price is merely a fair price, weigh up what you know about the car against what you're being asked to pay. How long has the owner owned it? Is the mileage genuine? How often was the car serviced? Is there anything wrong with it? How much will the faults cost to put right? You may have private reasons for giving too much for a car to an impecunious, elderly or sick member of the family. It's a diplomatic way of helping them out. But otherwise you should not let your relationship with the seller colour your judgement. The car is a purchase you are going to have to live with and if it proves to be a money pit you'll have to live with that too. Car auctions are one of the easiest ways to pick up a used car bargain, as some sales witness hundreds of cars going through the halls at one sale. But it also carries certain risks. There is less opportunity to try to correct a mistake if you choose the wrong car, so it's important to be aware of everything that's involved in the process. 1Is it actually a public auction? The majority of car auctions will have vehicle listings available to view online. It’s possible to find out plenty of general information on the types of vehicle you’re interested in, including what problems to look out for in our reviews. But for specific information on the cars at the auction, you’re relying on what the seller has told the auction company and anything the auction company is reasonably able to do to validate it. Each car should have printed information identifying the make and model, as well as including important declarations. There might also be a condition report from the auction house inspection. But it is the prospective buyer’s responsibility alone to check the exterior and interior. If you have a limited understanding of how engines work, it’s a good idea to bring someone with you who knows them inside out. Imperfect cars are auctioned all the time, but the sale price reflects the condition of the vehicle. Although the auctioneer will refer to the car’s service history, it doesn’t mean the correct intervals have been met, nor the manufacturer’s recommended work has been carried out. And remember, there will be no opportunity to test drive the car before the sale. Most auction companies will guarantee the seller’s legal ownership of the car. If evidence of outstanding credit, a stolen vehicle or an undeclared insurance write off comes to light after the sale, you will normally be refunded. But there's nothing stopping you using your phone to do a vehicle check - they start at just a couple of quid. Do listen carefully to the description of the car read out by the auctioneer. It’s this description that is legally binding and takes precedence over online sales listings or printed buying guides. If the auctioneer says there are ‘no major mechanical faults’, it includes the engine, gearbox, clutch, brakes and steering. Buyers have only one hour after the hammer has dropped to refute any of these claims. Any faults should be specified and read out by the auctioneer before bidding starts. Remember, everything is sold as seen. If a car is sold with a 'warranted mileage', the seller has validated it as correct. If, after the sale, the buyer believes the mileage is incorrect, they should report it to the auction company as soon as possible. There will normally a time limit of around five days for accepting these claims. Auctions will normally charge a fee for handling both cash and credit cards, and there are also buyers fees on top. These vary and tend to be a higher proportion of a car’s sale price for low-price cars with less for those that sell at high prices. So make sure you have factored this in when buying the car. Cars sold at auction have VAT included in the hammer price. If you intend to drive the car away on the day, you need to ensure the vehicle is taxed, MOT’d and insured for you to drive it. Alternatively, auction companies can deliver vehicles to UK addresses after the auction for a fee. You can’t legally take delivery of the vehicle until you pay in full. If you can’t pay in full on the day you may have to pay an additional daily storage fee until the balance is paid. What are the different types of car auction? There are several different types of sales at car auctions. Some are much safer for the private buyer than others. Manufacturer sales of nearly new ex-rental and ex-demonstration fleet cars can be a good bet. The cars are clean, usually have some warranty left and you know where they're coming from. However, such sales are increasingly aimed at the private buyer as well as the trade and it can be difficult for obvious private buyers to actually buy at true trade money. Dedicated fleet sales involve cars from a single named fleet source. Some fleets retail their ex-fleet cars from their own sites, rather then enter the cars they take in part-exchange in their dedicated sections, so not all the cars in their dedicated sections are genuinely ex-fleet. Car auction companies include BCA, Manheim, Brightwells, Anglia Car Auctions, John Pye, Central Car Auctions, Eastbourne Car Auctions, Westbury Car Auctions, Letchworth Motor Auctions, SWVA, Newark Motor Auctions, Newport Auctions and Morris Leslie Auctions. You can buy ex-police vehicles at places like West Oxfordshire Motor Auctions. The blue lights, sirens, and radios will all have been removed, so there's no chance of impersonating a police officer on the drive home. Fleet and finance sales usually offer a mix of cars from named and un-named fleets, plus repossessed cars from finance houses. A dedicated finance house sale can be an excellent source, particularly where it includes pre-registered zero-mileage dealer stock. Theme sales such as 'diesel cars', 'MPV & 4x4', 'Japanese', 'Late-year low-mileage' are designed to help the trade shift metal and can catch private buyers out. Most of these vehicles will be traders' cars, spiffed up for the occasion, on which the trader hopes to make his living. He may even be there on the floor bidding against you. Increasingly, at BCA and Manheim sales, there is a section for cars sourced by their used car buying operations. British Car Auctions owns webuyanycar.com, and the 'UK Car' section of its auction is those cars. 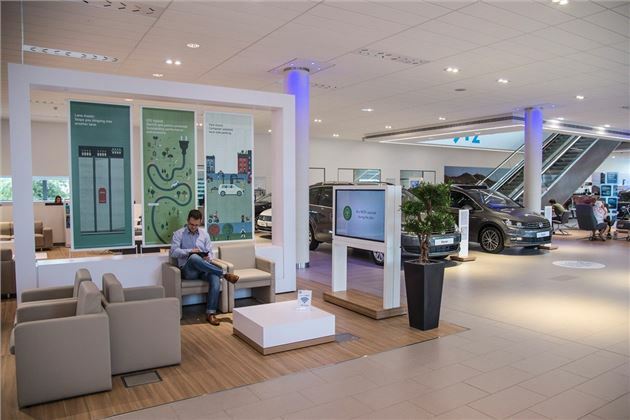 Dedicated part-exchange sales to shift generally older excess stock taken in by larger groups such as Inchcape, Evans Halshaw, Hartwell and Pendragon can be good sources. Inchcape rarely warrants any mileages, but 'gut-feel' and some broad hints from the auctioneer should tell you which cars are right and which are wrong. If, for instance, the auctioneer reads out the car's entire service history you don't usually have to worry that the mileage is not warranted. First and foremost, does the paint match? If every panel is a different shade, the car has likely been in several accidents. If the paint is fresh and new and all the same colour, the car has been in a big accident and has been rebuilt. If just part of the car has fresh paint, for example the bonnet, it may merely have had a minor scrape or been repainted because it was badly stone-chipped. Peel back bits of rubber trim and look for 'tide marks' underneath, open and close all the doors and check for even shut lines and look under the boot carpet for fresh paint and a lack of the usual manufacturer's stickers. Rust is less of a problem than it used to be and paint is now so expensive it's simply not worth filling a car with pudding and giving it a 'blow over'. But if the car is getting on, check all the usual places - round the wheel arches, under the valences (if they're steel), round the edges of the boot floor, under the carpets if they will lift, in the bottoms of the doors, round the headlights and along the outer tops of the doors. Check the tyres. Uneven wear may be due to incorrect alignment settings, or it may be due to bent suspension components from kerbs, pot holes or road humps. So be particularly wary of uneven front tyre wear. Now on to the interior. Dirt cleans off, but tears in the seats and broken bits of trim are notoriously difficult and expensive to put right. One fag burn can be invisibly repaired using new techniques, but a lot of fag burns will cost you £50 each and the repairs won't be invisible. If the entire interior stinks of tobacco smoke you'll be up against it to get rid of the lingering odour. Has there been a dog in the car? Has it scratched the paint? Don't feel you have to be polite about this to the car's owners, however nice they may be. It's your money they're after, not your friendship. Open the bonnet and check all the fluids. You want to look the oil on the end of the dipstick. Is it up to the mark? What colour is it? Castor-oil yellow is excellent, light brown is good, dark brown is okay but a tar-like black in a petrol engine spells disaster. Unscrew the oil filler cap. If there is a deposit of whitish or creamy-grey 'mayonnaise' underneath, it means one of two things. The car has led a life of very short runs from cold starts, has never warmed up properly and the condensation this has created has mixed with the oil. Engines run like this have less than a quarter of the life of engines run properly, so a little old lady's car with 10,000 miles on the clock has really done the equivalent of at least 50,000 miles and should be valued accordingly. The second problem 'mayonnaise' can reveal is a blown cylinder head gasket. It may be straightforward to replace this, or the head may need to be skimmed because it has warped. This gives the car a higher compression ratio and may mean that it simply won't run on 95Ron unleaded petrol. Have a look at the condition of the power steering fluid. It should be red, not black. Same goes for the automatic transmission fluid (most autoboxes have a dipstick). It is a good idea for automatic transmission fluid to be changed every two years (essential with CVT automatics). Look under the car for leaks. Is there oil on the vendor's driveway? A leak from a cam-cover gasket is common and no big deal, but a bad oil leak from a cylinder head gasket means the head has to come off and, if it does, manifold studs may break and stretch bolts will have to be replaced. A leak from the timing belt cover is bad news because it means that the camshaft end seal or a jackshaft seal has gone, contaminating the timing belt - so you won't just need a new seal, you'll need a new belt. If the gearbox/final drive is leaking from an output shaft seal, the lack of oil in the transmission may have led to premature wear. Now ask to see the service history. Not a book full of stamps - the actual bills for all the work on the car that the owner has paid for or a computer print-out of its service history. If, from this, you find that the car has been 'overserviced' (had its oil and filter changed every 4-6 months), then be willing to pay more for it than the guides suggest. If, on the other hand, it has been 'underserviced' with gaps of more than a year, then pay substantially less. If the car has a timing belt rather than a chain, in general this needs to be replaced every 60,000 miles or every four years, whichever comes first. On some cars the replacement cycle can be pushed to up to five years or 80,000 miles whichever comes first, but no longer. If the service bills don't show a timing belt change, then budget to have it done. Automatic transmission fluid should have been changed every two years, brake and power steering fluid every two years. If the car has a manual gearbox and the oil in that was changed within its first 18 months on the road, this is a valuable plus point worth paying more for. Is it smart to buy a new car from a dealer that's 75 miles away? I'm about to buy a new BMW 320I Touring and have obtained good offers from both Drive the Deal and Carwow. In fact Drive the Deal are a few hundred pounds cheaper than Carwow, but their dealer is 75 miles from where I live. On the other hand, the Carwow dealer is only 17 miles away. Obviously servicing isn't a problem as any BMW dealer can handle that, but I'm concerned should I have a problem with my new car. I'd appreciate your opinion on whether its really an issue. Actually it does help to stick with the dealer you bought the car from because it shortens the chain of liability if there is a deep dispute, for example if you want to invoke your right to reject the car. If it's only ever been touched by the dealer you bought it from he can't blame anyone else.